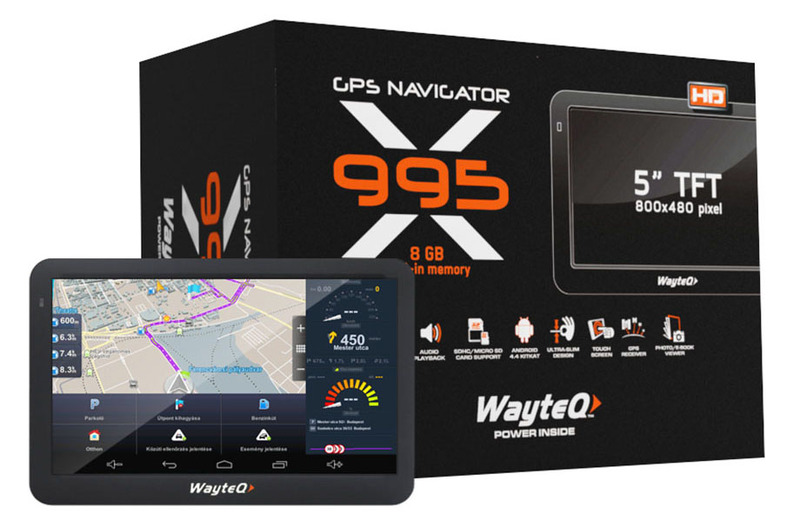 WayteQ x995 Android GPS device operates on new levels of navigation. 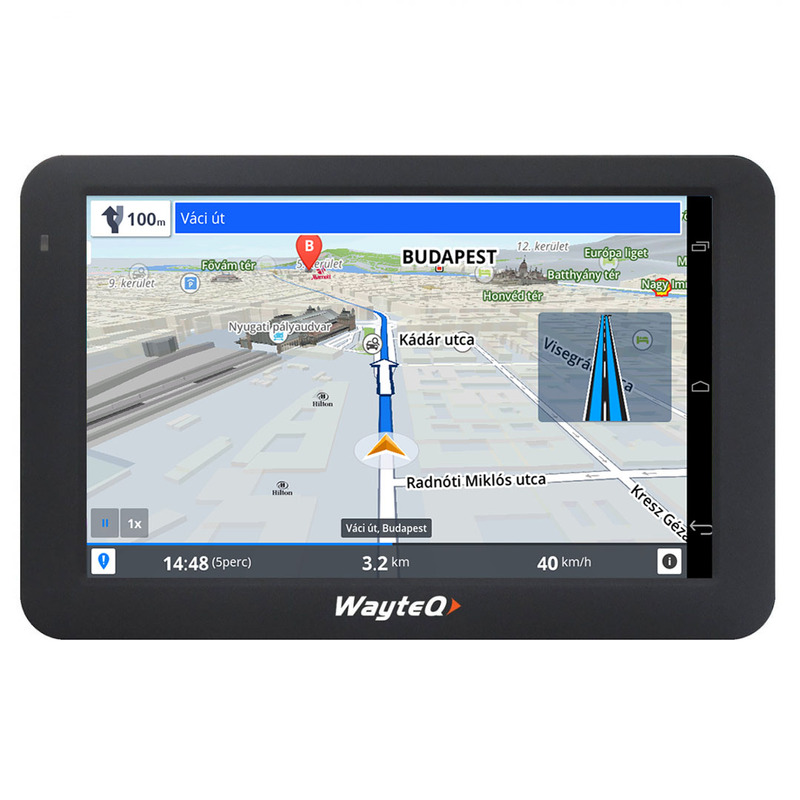 Android platform and powerful hardware enables brand new functions in the field of GPS devices: the MultiTouch, capacitive, high brightness display is excellent for pinching to zoom in maps, handling slide menus and entering texts in various ways. 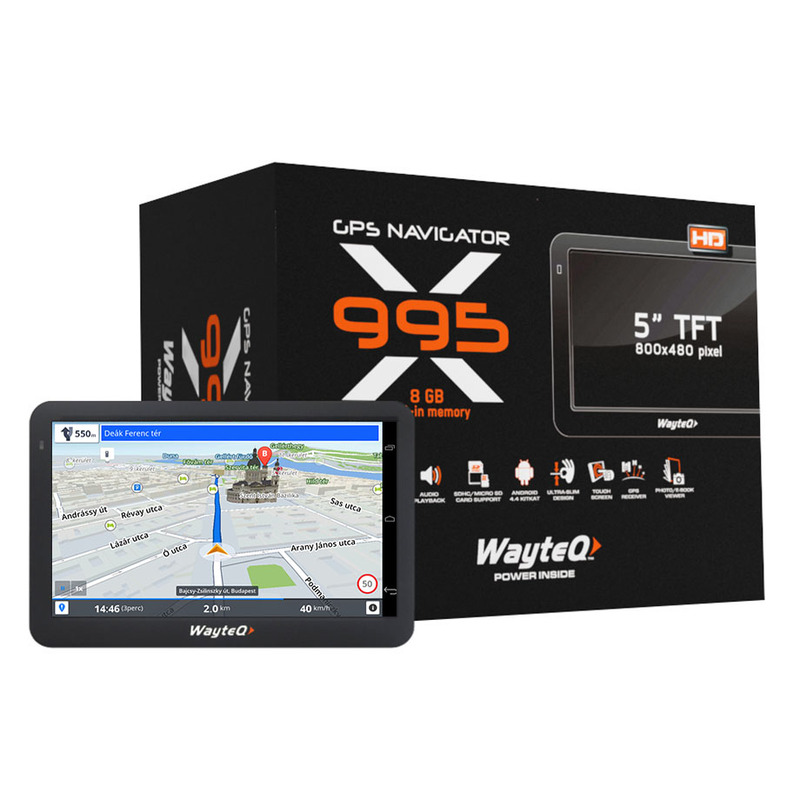 WayteQ x995 also enables the installation of multiple navigation software. 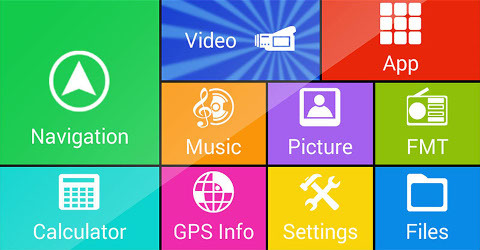 Google Play offers dozens of navigation software, so you can download the chosen ones directly to your GPS device through WiFi. The device uses a powerful Quad-Core MediaTek CPU with own GPS module (MT6627). RAM is extended to 1 GB, while ROM is 8 GB (2 GB for applications, 4 GB for data storage). Storage space can be further increased by inserting a MicroSDHC memory card. Device rotation is sensored, so the display is automatically adjusted. 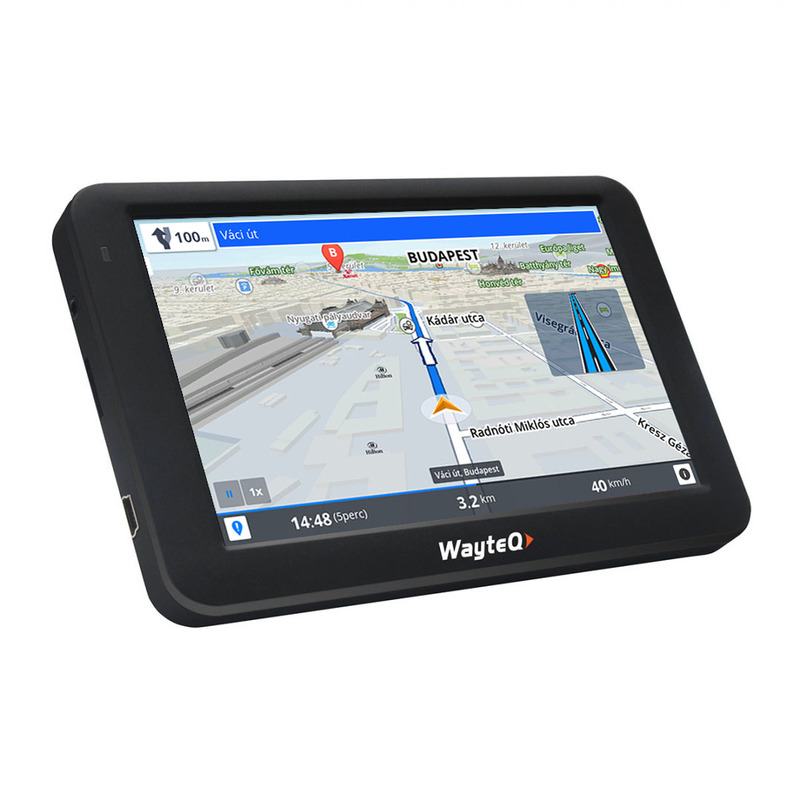 WayteQ x995 is installed with a high brightness display, so that it can also be seen in sunlight. The device is equipped with a high capacity battery in order to ensure longer hours of operation. 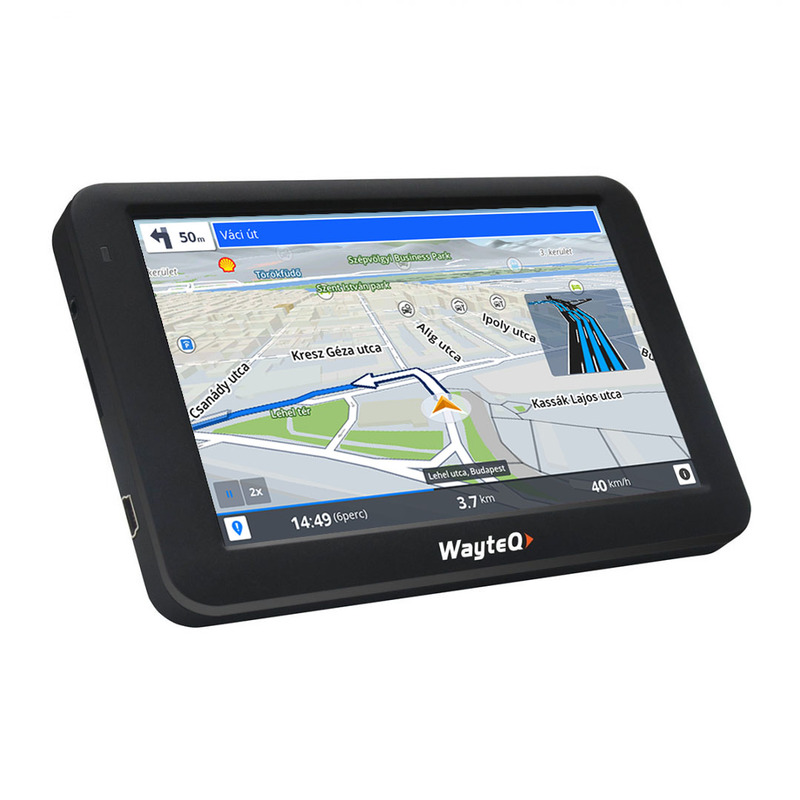 As a unique function, this GPS device has WiFi function with web browser and Android applications. Bluetooth function can forward the voice of the device to headsets, earphones, speakers, or enables file exchange. The built-in microphone and the high performance speaker ease the use of voice instructions and navigation. The built-in FM Transmitter helps to forward the voice of the device to the car audio system wireless. Just tune the car audio to the right frequency to enjoy the sound of your favorite music, video clip or even the narration of the navigation software through the car’s speakers. X995’s main screen is also unique: it shows the most often used applications with big icons, so easy use is ensured, even in the car. Adjusting the route has never been easier. Just tap on the route, hold your finger a bit longer and drag and drop the route …that’s all. Select a destination and get three alternative routes to choose from. Although the problem of parking in major cities of Europe becoming more acute, Sygic navigation, users can search for the closest parking in real time directly from the application. The service is provided in cooperation with Parkopedia, which covers up to date 75 countries around the world, 6,300 cities and 38 million parking spaces. There is no problem if the exact address or place is not known. To get your destination you can selet it by adddress (even with postal codes), Home place, Point on map, GPS coordinates, Previous destinations, Favourites, Points of Interest etc. There is no need to define the city, you only need to enter the name of the street and the clever search engine will offer possible cities to choose from. The fastest way to search for POI or address. Just touch the magnifier and you can search directly from the map. Get guidance to nearest hospital, police station, pharmacy or gas station. Predestrian mode gives more attention to change direction of map than traditional maps. Turn by turn predestrian instructions with built-in compass, makes reaching destination easier. A precise map is not enough to easily find your bearing in an unfamiliar city. Beautiful 3D landmarks, buildings, parks, mountains and valleys, together with smooth map movement, make driving with Sygic GPS Navigation both practical and enjoyable. Don’t worry when navigating a complicated junction, Dynamic Lane Guidance moves as you go and clearly shows the right lane to be in. The turn after next turn indicator appears when one turn follows closely after another and is especially helpful in dense urban areas. You can spare time and energy if you know what's ahead of you on the road. The traffic information covers big area and often updated - exactly in the order as events coming up on your way. This function available with TMC-receiver only in countries where service is free. 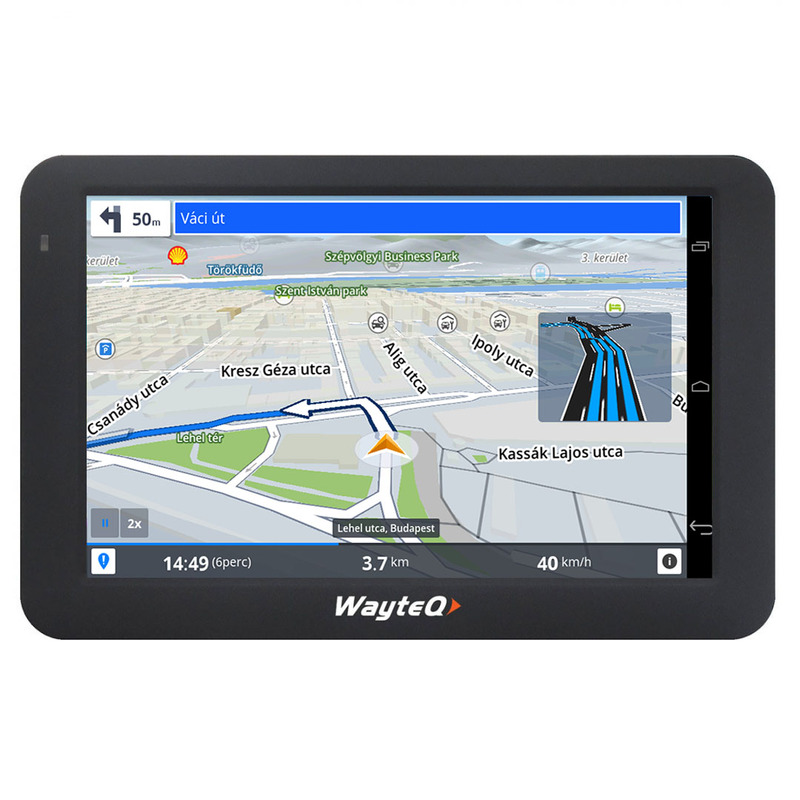 Sygic gives precise, turn to turn navigation instructions with voice guidence even running in the background. This makes it possible to use other application on your device. Plan a trip with multiple waypoints, optimize it with advanced routing options and save it for later. Whether you’re looking for a hotel, restaurant or want to go shopping and then taste the nightlife, Sygic GPS Navigation offers all the hints you need. Import points of interest from free sources on the internet, adding your favorite locations into your app.Click here for instructions. See statistics for all your outdoor activities as well as business trips, including distances, altitudes, time and speed. No more speeding tickets for exceeding the speed limit. Sygic GPS Navigation will warn you if your foot gets too heavy on the gas pedal. For increased safety and a smooth driving experience, Sygic shows the upcoming speed limit change before it becomes effective. When approaching a sharp curve at a high speed the app will tell you to slow down. And because every driver is different, this smart algorithm will learn and adjust warnings to suit your driving style. With a built-in database of fixed speed cameras, you will receive warnings for permanently installed speed cameras in audio as well as visually. 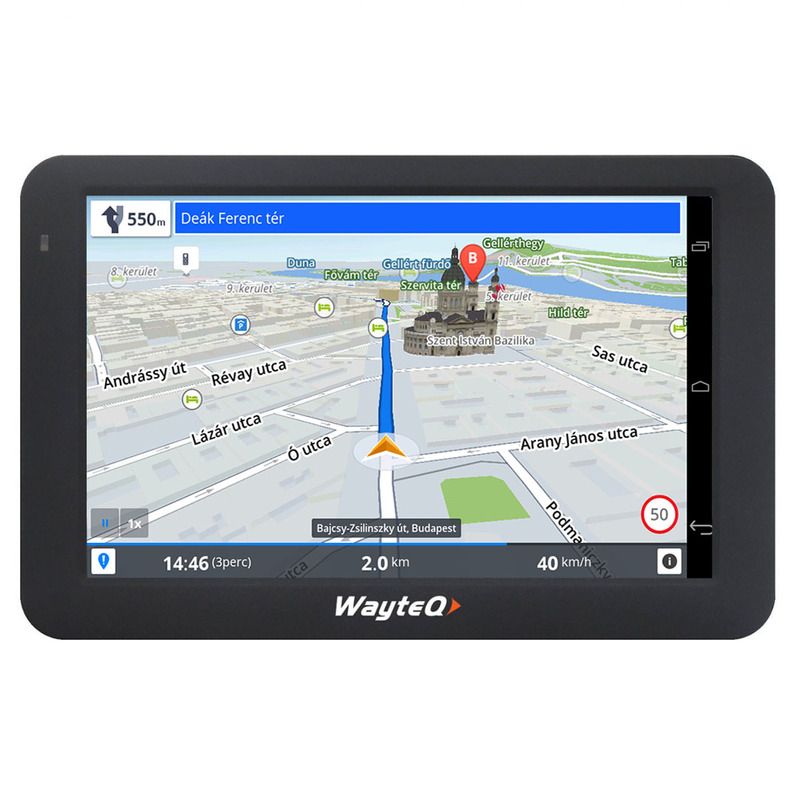 Sygic GPS Navigation has maps of 45 countries in Europe. 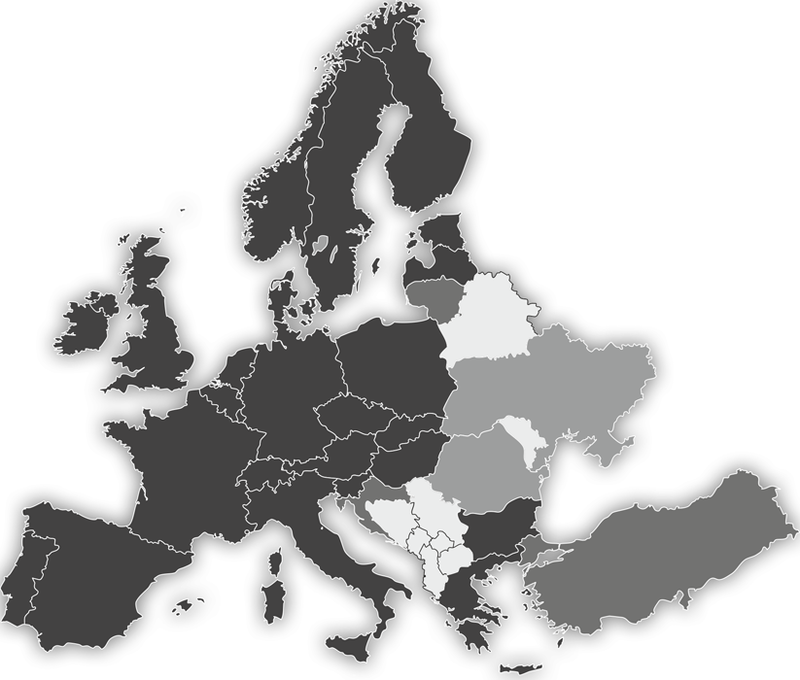 Maps can be updated through bundled Sygic Assistant PC software (only version 12.1 or above).